Wooden Greenhouses - Who Has The Best? 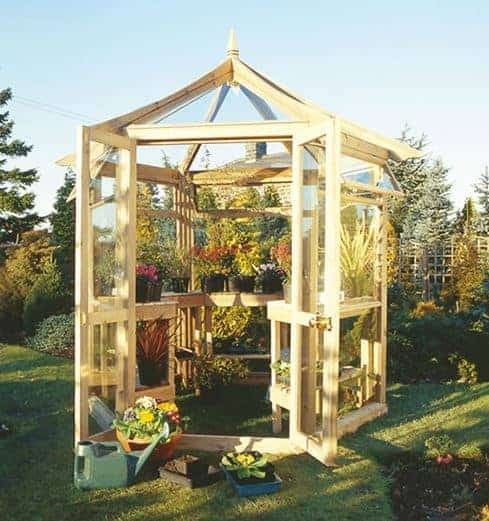 Well built wooden greenhouses are among the most beautiful garden buildings that we review at WhatShed, and of course they’re very functional too. Whether they utilise traditional horticultural glazing, toughened safety glass, or even a plastic glazing such as styrene or polycarbonate, they provide an ideal environment in which to grow plants away from the threat posed by the British climate. There’s a huge range to choose from, but help is at hand with this independent WhatShed guide to the 20 best wooden greenhouses that are currently for sale in the UK. There were a lot of factors to take into consideration when selecting the 10 best wooden greenhouses, and of course price and value for money were among them. In our list, however, you’ll find high quality timber greenhouses to suit all budgets, and in a variety of sizes too. The length of any warranty periods, and overall aesthetic appeal were other important consideration, as well as additional value adding features. This was a diverse and very competitive category, with more than three thousand pounds separating the most expensive from the least expensive greenhouse. The ultimate accolade, however, goes to the Grow-Plus Vale greenhouse which combines good looks and a long warranty period with a very affordable price. 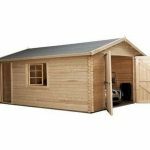 When you want timber sheds, metal workshops, or anything in between, What Shed will continue to bring you the in depth reviews that can help you make an informed choice. 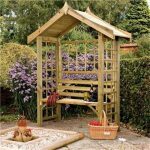 In this WhatShed league table of the 20 best wooden greenhouses you’ll find great value greenhouses alongside some of the most attractive garden buildings we’ve had the pleasure to review, and at the very top of our list sits the Vale greenhouse from Grow-Plus. It achieves this position by offering excellent value for money for what is a well constructed and durable greenhouse, while at the same time possessing the classic good looks that are associated with high quality wooden greenhouses. This is very much a mid sized greenhouse, with a base area of 1.80×2.54m but with a tall apex roof reaching up to a height of 2.33m there’s lots of rooms for both growing plants and walking around. We were pleased to see that toughened safety glass had been used throughout, and that 70x45mm framing has been used. This is the thickest framing that we’ve seen used for wooden greenhouses, and means that the structure feels very stable and secure. The timber used was also very impressive, as it has been slow grown to give it excellent strength and then pressure treated. This long lasting protection against rot is the reason the manufacturer can provide a 15 year anti-rot warranty, and adds to the outstanding value for money that this good looking greenhouse already provides. 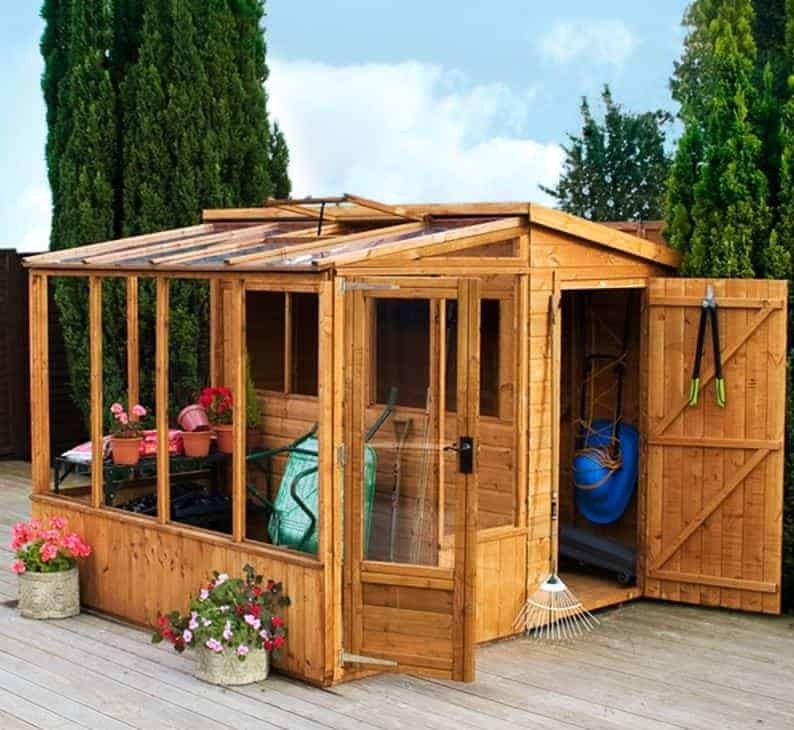 We always like to see garden buildings that offer something extra to the customer in the form of added functionality, and this applies to wooden greenhouses as much as it applies to the sheds we review. That’s why we loved this versatile building that combines a traditional pent garden shed with a lean to timber greenhouse, creating an apex roof effect where the two sections meet that quickly and effectively carries rainwater away. The overall dimensions are 2.53 x 2.50m and within this area the owner effectively gets two highly useful buildings for the price of one, which we feel will come in very useful for keen gardeners. There are two single doors, one leading to the shed and one to the greenhouse, and we were especially pleased to see that both come fitted with a key operated lock. This is a real boost to security, and yet it’s one that we don’t always find on either wooden greenhouses or sheds. We were also glad to see that strong tongue and groove cladding has been used throughout; it comes with a 10 year warranty, but bear in mind that this is dependent upon an annual treatment schedule being adhered to. Nevertheless, we were impressed by the look, functionality, and value provided by this combination garden building. We found this traditionally styled nine foot by six foot greenhouse eye catching from the moment we saw it, as the half boarded design creates a striking contrast between the wood in the lower half of the building and the upper half covered by glazing. This contrast could look even more attractive when painted or stained, which is something that we always recommend for unpainted timber buildings as it protects them from the potentially damaging effect of UV light. Even more pleasing was the fact that toughened safety glass had been used, so you won’t have to worry about flying stones or chippings shattering the panels. This combination of glass and timber is an ideal mix for wooden greenhouses, as whilst the glass lets in the light and heat that plants need, the timber helps to retain the heat and create optimal growing conditions. The timber itself has been pressure treated, which is often, as in this case, a mark of truly high quality wooden greenhouses. It also means that a 15 year warranty is provided against rot, which gives added peace of mind alongside the added value that we always welcome, especially as the effectiveness of the treatment means that the owner won’t have to go to the time and expense of treating it themselves on an annual basis. 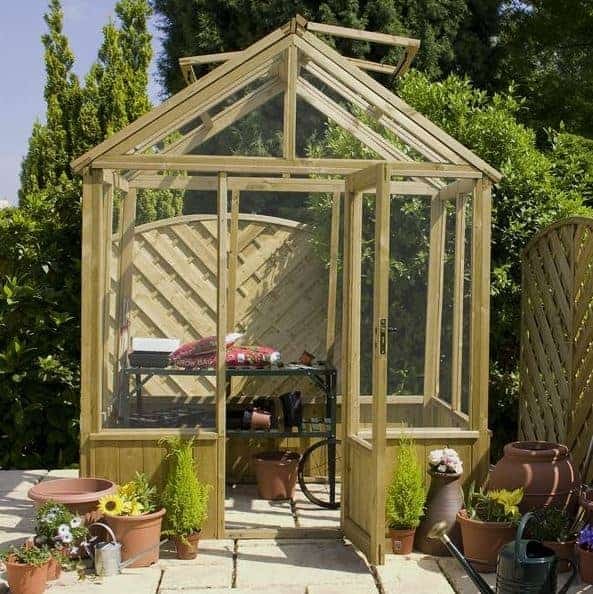 Octagonal wooden greenhouses are always guaranteed to have a striking appearance, and this is perfectly represented by this eight side Mercia greenhouse. It has two wide faces with three smaller sides adjacent to them, and we found the finished effect very striking especially as the unique look is emphasised by two finials at either side of the apex style roof. 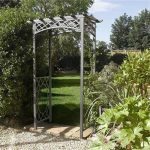 If aesthetic appeal is one of your most important considerations when selecting a garden building then this could be the greenhouse for you, but we were pleased to find that it had a lot to more to offer as well. Foremost among these was the price. 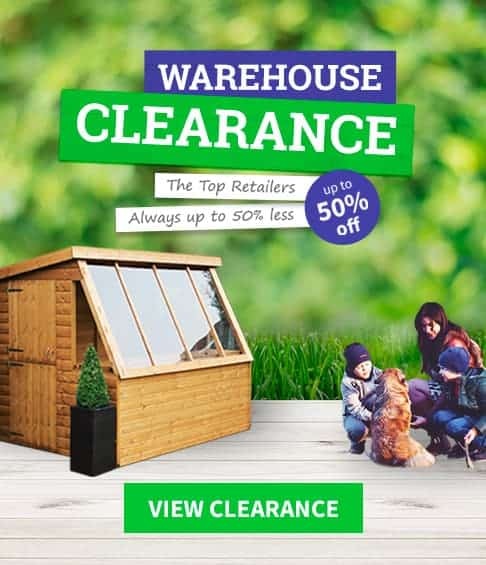 Even though this is a small to mid sized greenhouse, we still feel that a price tag of under eleven hundred pounds represents good value for money, especially as the timbers have all been pressure treated to give them added durability and rot resistance. The double doors give easy access to the interior, with or without a wheelbarrow, and we were very pleased to see a secure key operated lock included to keep your plants safe from opportune thieves as well as from the elements. There’s a 15 year warranty provided as standard, which is a feature we always like to see, and the only thing preventing this being ranked even higher in our list of the top 20 greenhouses is that styrene glazing has been fitted. This is a much cheaper option than safety glass, although it still provides clarity and insulation. Well built timber greenhouses can add a touch of style and sophistication to any garden, as well as providing an all weather environment for growing plants of course. Sometimes, however, they don’t have to feature a large amount of timber to look very striking, as we found when reviewing this greenhouse. It features glass from ground to roof, with the softwood timber being used for a frame. We found the overall effect very attractive, and it also means that sunlight reaches every part of the interior, so that plants at ground level can also thrive. Another feature we liked was that the single door is kerbless, meaning that you won’t have any difficulty manoeuvring a fully laden wheelbarrow in or out. We were also pleased to see that the timber used had been pressure treated, and that toughened safety glass was used throughout. With such a profusion of glass used across this 2.44 x 3.45m building, this is even more important as it greatly reduces the likelihood of having to buy replacement panels. 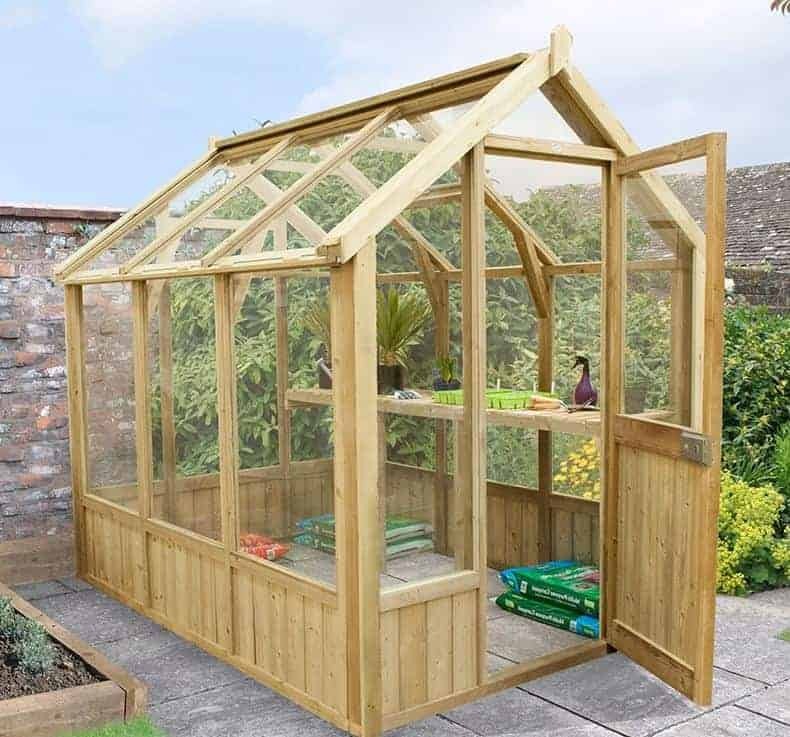 This is also one of the taller wooden greenhouses that we’ve reviewed, and it’s only the relatively high price tag that stops this tough and durable greenhouse from reaching the top three in our league table. 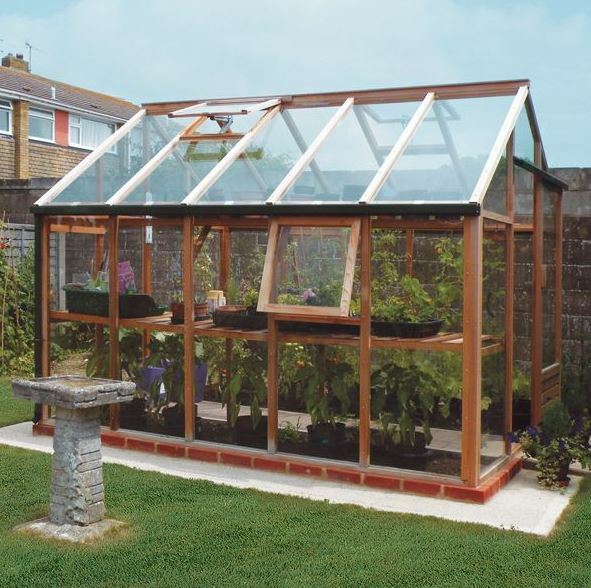 We’ve reviewed lots of wooden greenhouses from the Swallow range, and they always combine excellent durability with cutting edge technology and the traditional looks that so many gardeners love. They aren’t the cheapest greenhouses available, as the eighteen hundred pound price tag for this 2.03 x 3.18m model shows, but for those who don’t mind paying a little extra to get a garden building of the highest quality then this is certainly one to add to the shortlist. What makes this stand out from most of the other wooden greenhouses in our league table, and what in part accounts for its lofty position, is the use of thermowood. This is softwood that has been treated with heat and steam to give it long lasting protection against rot without the need to use the harsh chemicals associated with traditional dip or pressure treatments. The manufacturer has provided a 10 year warranty, but so effective is this patented technology that we wouldn’t be surprised to see it last even longer without any signs of rot appearing. This essential fight against wet rot is also aided by the inclusion of an integrated damp barrier, creating a long lasting and reliable wooden greenhouse that won’t be affected by ground moisture, driving rain or rising damp. As this very stylish hexagonal building shows, wooden greenhouses don’t have to be just a functional place to nurture your plans, they can become a garden feature in their own rights. The manufacturer has taken the six sided design of a gazebo or summer house that always looks very eye catching, and made it even more attractive in our opinion by adding more glass.The brass fittings used on the windows and key operated lock assist in the visual appeal, so that it has a timeless look that you might expect to see gracing a Victorian or Edwardian country garden. 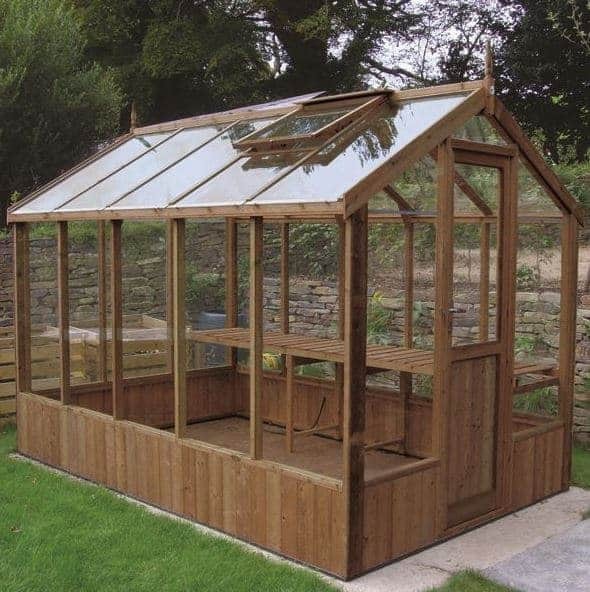 Of course, this greenhouse has much more to offer than just its attractive appearance, as shown by the use of pressure treated timber that comes with a 15 year manufacturer’s guarantee. The use of safety glass rather than standard horticultural glass is another sign of the attention to detail and high quality components that we always like to see in the wooden greenhouses we review. There are five sets of staging included as standard, so you can make the most of the 2.23 x2.23m base area and the tall 2.91m ridge height. 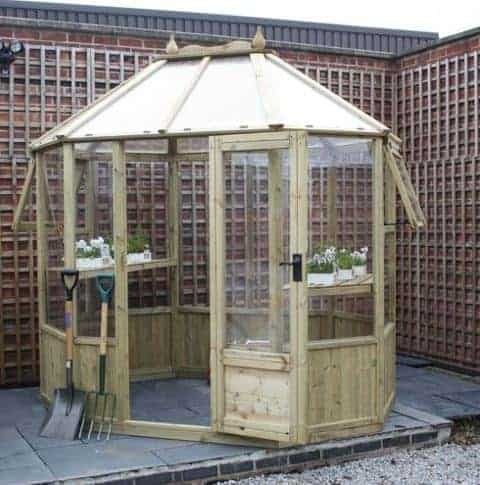 The quality we found on show does come at a price, and we have seen similarly sized greenhouses at considerably less value for money, but its combination of durability and attractiveness takes it deservedly into the upper half of our league table. 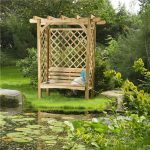 Our league table of the 20 best wooden greenhouse currently for sale online in the UK includes some of the most striking garden buildings we’ve reviewed, as well as some large greenhouses with large price tags attached. We appreciate, however, that not everyone has the budget to afford greenhouses that come with a four figure asking price, and that not everybody has the room for a large greenhouse on their land. That’s why we feel this compact and affordable wall greenhouse could prove to be a perfect investment for those who don’t want to take space away from their lawn or who want a plant growing solution that costs less than four hundred pounds. 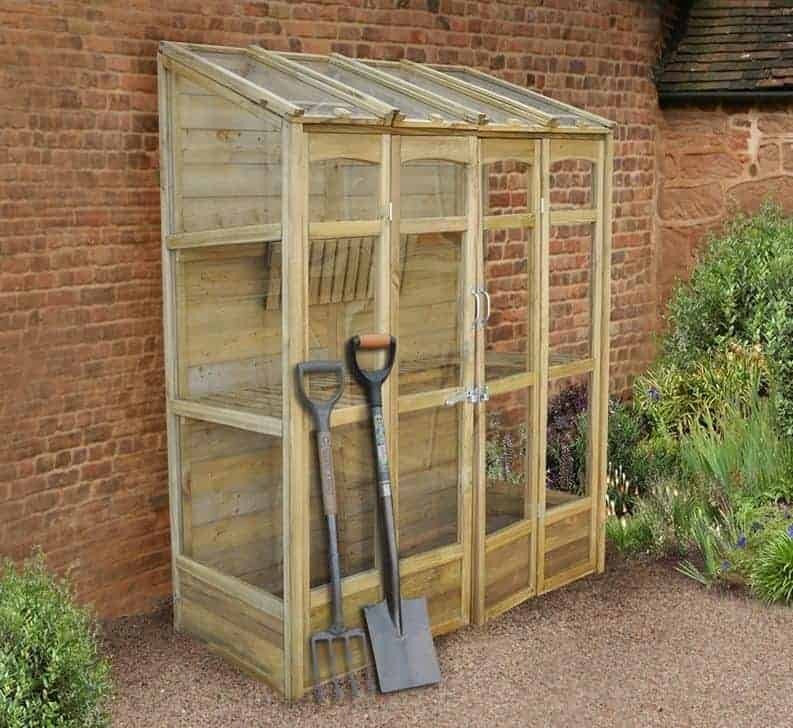 The base dimensions of 1.47 x 0.74m make this the smallest of the wooden greenhouses on our list, and yet it has a very useful eaves height of 1.66m and the integral two rows of shelving mean that you can fit more plants inside than you might think. It has a back attached to it, meaning that it can be used as a classic lean to greenhouse for added protection from the elements or it can stand alone. 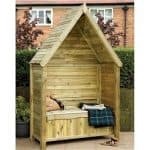 At this price, we were very impressed by the used of pressure treatment for the timbers and its 15 year guarantee, something we don’t always find with much larger and costlier wooden greenhouses. 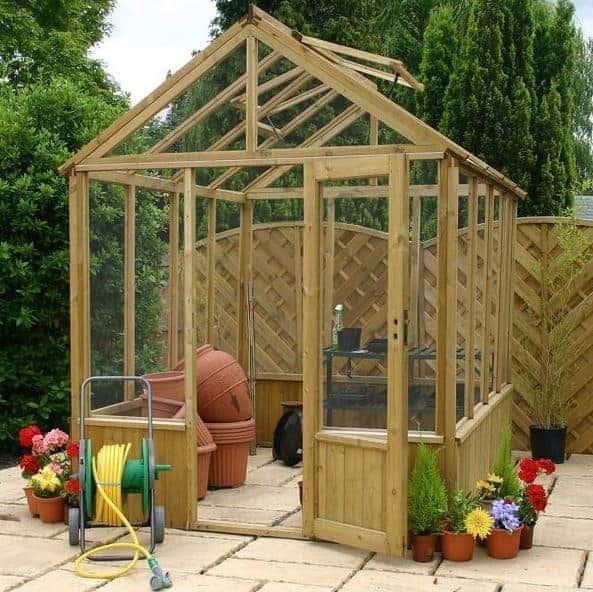 Whilst this greenhouse is both larger and more expensive than the Cofton model above it, we still feel it represents excellent value for money which is why it has gained a place in our top 10 wooden greenhouses. It’s designed in the classic rectangular style with an apex roof above it that rises to a ridge height of 2.56m and does a good job of sliding rainwater away. The base width of 1.96m and base depth of 1.88m may not be ideal for large scale gardeners, but it’s great for those who want the advantages of having a high quality greenhouse and yet don’t have too much space in their garden to spare. As we find on many wooden greenhouses that are designed to be highly affordable, this model has styrene rather than glass glazing. This typically offers slightly less insulation than a traditional glass greenhouse, and yet it also offers significant advantages when it comes to strength and shatter resistance. If you’ve had to replace glass panels in the past, and don’t like the idea of doing it again, then styrene glazed wooden greenhouses could be your perfect solution. We were pleased to see that the tongue and groove timber had been used throughout, and with a 15 year guarantee provided the advantages of its pressure treatment are obvious. Some of the most attractive garden buildings of them all date back to the Victorian era, so we’re always pleased to find contemporary buildings that take a stylistic lead from these times. These J-Class wooden greenhouses take the very best of classical design and combine it with the benefits of modern technology. The result is a visually appealing and yet very durable greenhouse, and one that we feel is deserving of its place in the upper half of our top 20 league table, even though the high price tag has had to be taken into consideration when determining its final position. We were very impressed by the hexagonal design as this is sure to become a talking point among your friends and neighbours, especially with decorative features added to the pressure treated timber as well. 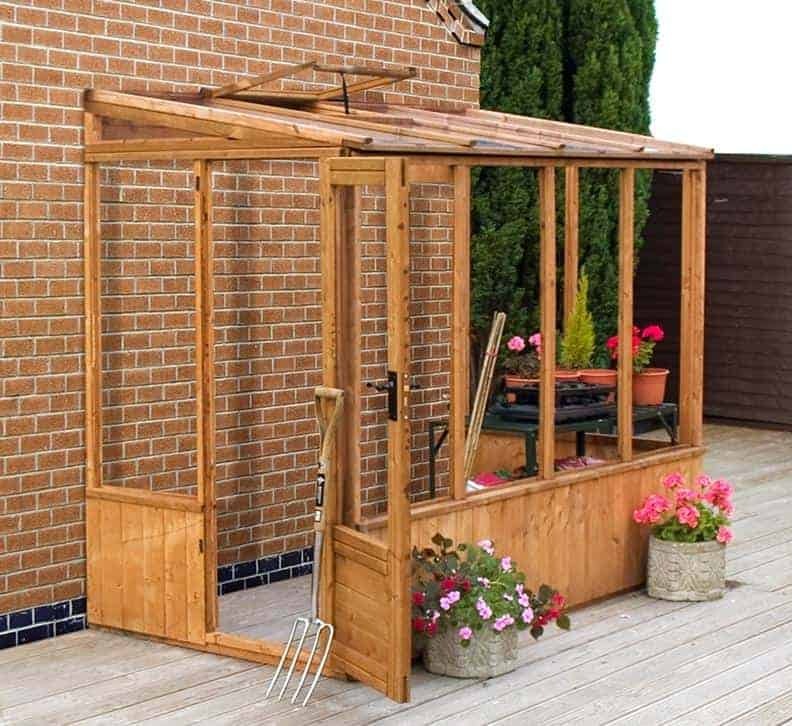 Unlike most other six sided wooden greenhouses we review, this one has double doors, which always come in very useful if you’re carrying a tray full of plants or a bag of soil inside. The base area is 2.80 x 2.42m, but it’s the very generous height of 3.00m that really stood out. This is one greenhouse that you’ll be proud to have in your garden, and one that you’ll find it comfortable to spend time inside too, especially with two opening windows provided for ventilation purposes. We find that eight foot by ten foot wooden greenhouses are often the ideal size for medium sized gardens, as they provide a large capacity for growing plants and seedlings, and yet they don’t look too obtrusive, rely on too much maintenance, or take up too much space from the garden itself. This is an excellent example of an 8 x 10 timber greenhouse, not least because the timber used is high quality tongue and groove softwood that has been given the long lasting protection of an initial pressure treatment. This is a treatment that forces wood preserver deep into the wood itself, and the protection against rot is so effective and so enduring that we would have expected to see a 15 year warranty provided rather than the 10 year warranty supplied by the manufacturer. It is this that has prevented this otherwise very impressive greenhouse from breaking into our top 10. There are two roof vents provided as standard, and extra ventilation can be provided when required by opening the hinged door. Although it’s only a single door it is one of the widest we’ve seen on the wooden greenhouses we’ve reviewed, opening out to 0.80m. Styrene glazing has been used, a cost effective solution but also one that ensured the relatively affordable price tag attached to this well sized greenhouse. Lean to wooden greenhouses may not feature as often as apex greenhouses in our top 20 league table, but this fine example of the genre would bring benefits to almost any garden and it’s only the price of nearly two thousand pounds for a greenhouse with a base area of 1.38 x 3.18m that prevents it from being placed much higher. Being a lean to greenhouse, it doesn’t take up too much valuable space from the garden, and it gains both weather protection and stability from the wall that supports it. For these reasons, we feel that this would make a perfect greenhouse for people whose gardens are situated in exposed areas. One reason that this building takes its place among the 20 best wooden greenhouses for sale online in the UK today, is that it’s highly attractive. Toughened safety glass has been used throughout, and the combination of this alongside the high quality smooth planed timbers is very eye catching. We were also pleased to find that the thermowood system had been used for its initial anti-rot treatment, meaning that a 10 year warranty is provided but the timber itself retains its natural colouring and doesn’t have the strong smell associated with preservatives. With an auto-opener for the two windows as well, this is a lean to greenhouse with a lot to recommend it even at this relatively high price. 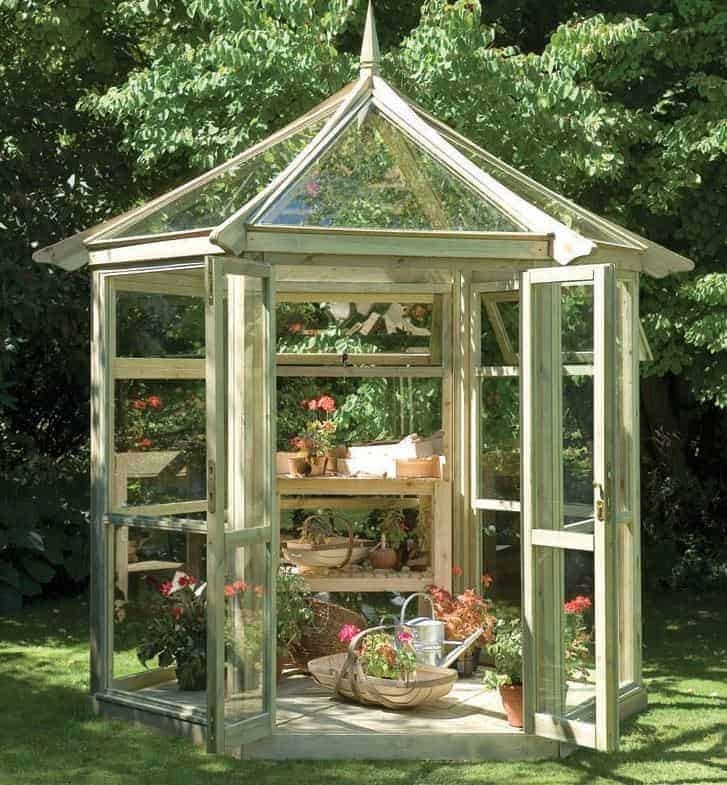 This classically styled greenhouse from Eden not only looks good, with cedar framing in support of the 3mm thick toughened safety glass, it’s also built with plants in mind. The base area of 1.84 x 2.99m is amply supported by a ridge height of 2.21m, so there’s lots of room to grow and nurture plants, particularly if staging is introduced. The sliding door at the front makes it easy to get in and out, even when your hands are full, and it also provides ventilation along with the two opening vents in the roof. What we liked most of all is that western red cedar has been used for the frame, which isn’t always the case with the mid sized wooden greenhouses we review. It’s a naturally oily wood that also has excellent anti-rot properties, which is one reason why the manufacturer has been able to provide a 10 year anti-rot guarantee. It’s also knot free, and very durable, which makes it a good choice for people who live in areas that are often subject to heavy rain and strong winds. It’s not the cheapest of the similarly sized wooden greenhouses we’ve reviewed, yet it earns its place in our league table thanks to its natural strength and stylish appearance. 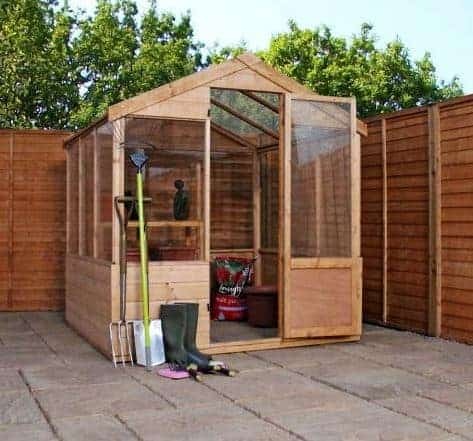 As we’ve seen, wooden greenhouses come at a range of different prices, but for a high quality model measuring eight foot by six foot you’d probably expect to pay much more than four hundred pounds. Thanks to this budget priced Winchester greenhouse you don’t have to spend a penny more, and it’s this excellent value for money that sees it gain a place in our WhatShed league table. There’s a 10 year guarantee against rot provided as well, which gives added reassurance even though it is dependent upon the owner following an annual retreatment programme as well as treating it prior to installation. Appearance wise it follows a traditional pattern, although the shiplap cladding is used more than we see in many other wooden greenhouses, giving it almost a half boarded effect. This in itself is no bad thing, because it gives the structure as a whole excellent stability. One other feature that we liked is that the glazed single door is significantly taller than the windows around it. With an opening height of 1.72m, there’s no need to bend down when walking in and out which isn’t always the case in the wooden greenhouses we review. 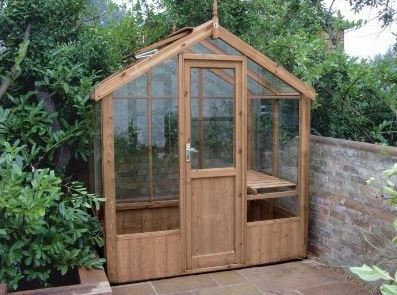 Overall then, this is a greenhouse with features and an appearance that belies its low asking price. This is by far the longest of the buildings that feature in our list of the top 20 wooden greenhouses available online in the UK today, and so even though it comes with a large price tag to match we still think it represents reasonable value for money for those who have a budget that encompasses it. The base width of 2.04m is combined with a base depth of 6.35m, or nearly twenty one feet. This makes it an ideal choice for the keen amateur who wants to take their gardening to the next level, or even those who grow plants for a business. Wooden greenhouses as generously sized as this one have to be very strong and stable, and we were glad to find that this met that requirement with aplomb. The thick and planed redwood timber has been given the thermowood treatment to protect it from rot for at least 10 years, as covered by a guarantee, and safety glass has been used throughout. There’s also a black PVC damp barrier, to ensure that the greenhouse can cope with moisture coming from below as well as above. We were also pleased to see a mortice lock fitted as standard, making this a secure environment to store gardening equipment as well as plants. 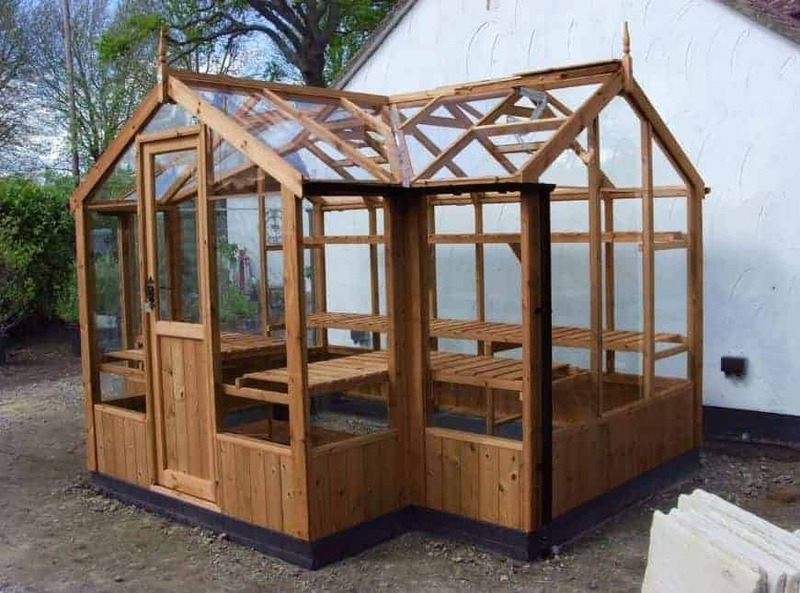 The BillyOh range of wooden greenhouses represent exceptional value for money, and nowhere is this demonstrated more than in this model with a base width of 1.96m and a base depth of 3.56m. 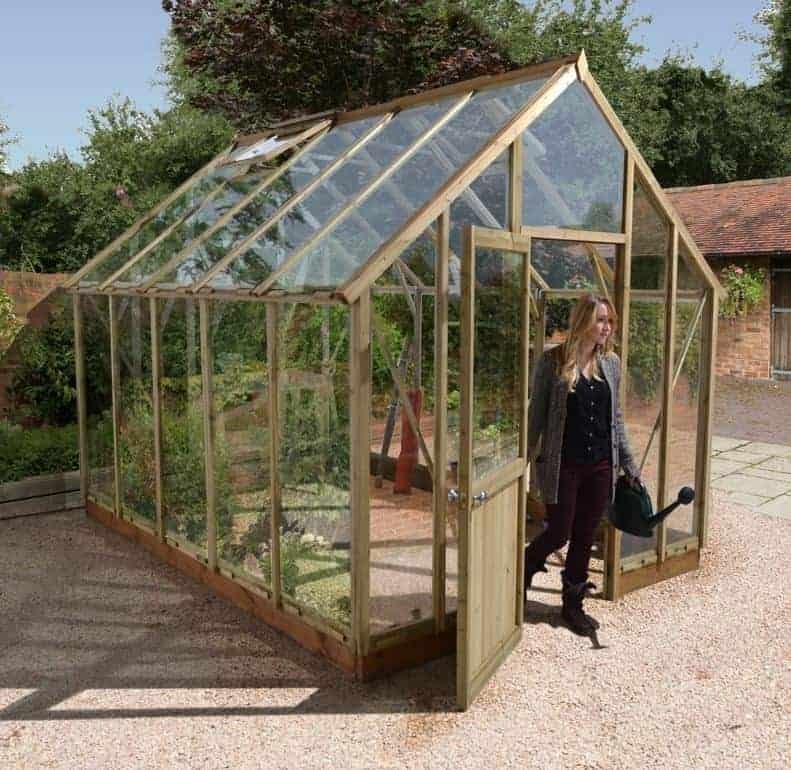 At just a little over five hundred pounds this is the most affordable twelve by six greenhouse that we’ve seen, which makes it ideal for gardeners who are looking for a large timber greenhouse that won’t break the bank. The reason that this doesn’t gain it a higher position within our league table, however, is that it also comes without the extended warranty that we would normally expect to see on a greenhouse of this size. Nevertheless, the high quality components used make it a potentially durable building as long as a regular treatment schedule is kept up. The glazing used is polycarbonate, which is much tougher than standard horticultural glass. For that reason, whilst the insulating qualities may not be quite as good, it can be a smart choice if you’re likely to have young children playing near the greenhouse with a ball. We also found this one of the most attractive budget priced wooden greenhouses we’ve seen, thanks to the planed timber and boarded tongue and groove panels towards the foot of the building. 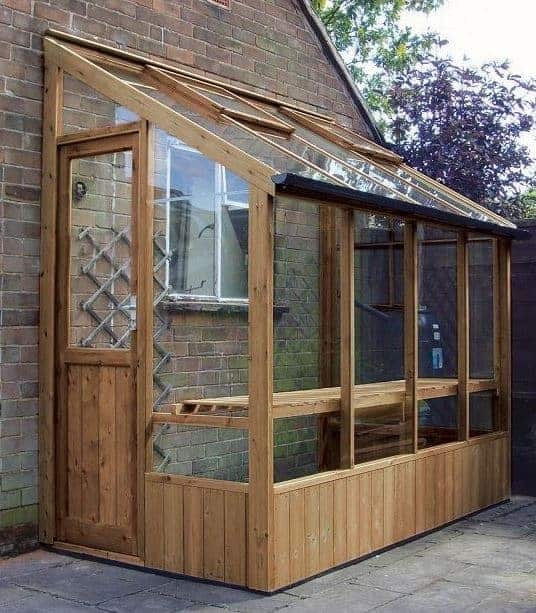 A glass to ground design can make wooden greenhouses look spectacular, and this is a fine example from Malvern. With a ridge height of 2.43m, and base dimensions of 2.69 x 1.83m there’s a lot of room for you to nurture your plants in, especially as the full length glazing means that light and heat reach every corner of the building on a sunny day. We were also impressed by the use of pressure treated deal for the framing, even though we would have liked to see a 15 year warranty for it rather than 10. It is this slightly shorter warranty period, and slightly higher asking price, that prevent this greenhouse from gaining the ranking it could otherwise have obtained. What we particularly liked about this model is that it comes with a wide range of options that we don’t usually see on the wooden greenhouses we review. These add to the original asking price, of course, but they also allow the customer to customise their greenhouse until they get one that meets all their needs. Options available include upgrading to cedar rather than deal, having pressure treated staging or shelving, adding louvre vents, and the addition of a guttering system and automatic vent openers. Just because a garden is small doesn’t mean that it can’t benefit from having a well built greenhouse that provides an all year round growing environment. That’s why we feel this particular member of the BillyOh Lincoln range could prove very useful for lots of consumers, and with its compact three foot by six foot design also comes a very affordable asking price. 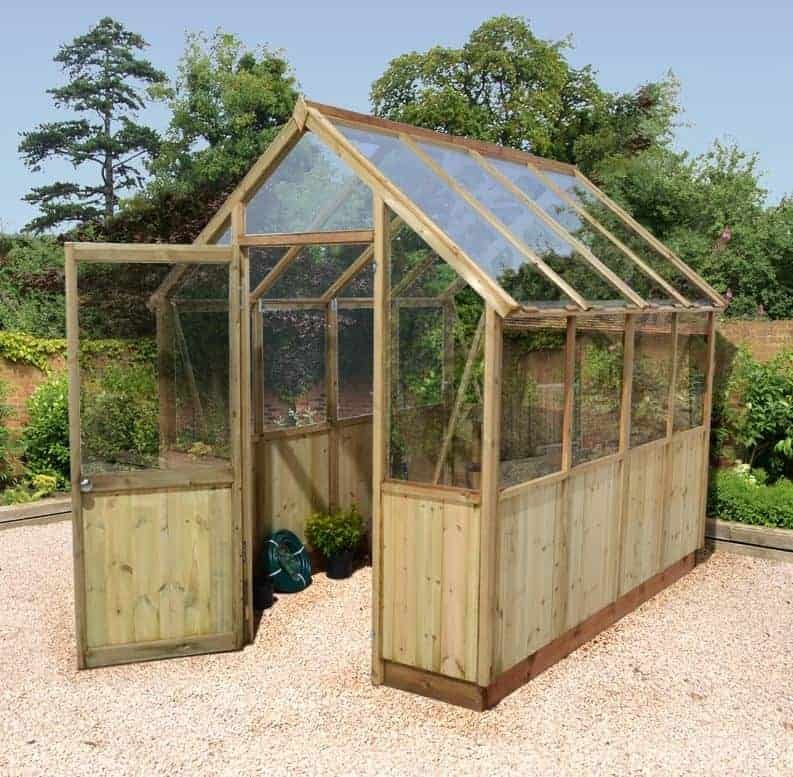 In fact, this is easily the most inexpensive of all the wooden greenhouses in our WhatShed top 20 league table, which is one of the reasons it earns its place. Cost effective polycarbonate glazing is used, which is just as we’d expect in wooden greenhouses at such an affordable price, but we wouldn’t necessarily have expected to see the wide opening double doors that greeted us on this occasion. At 0.88m wide they allow easy access to and from the greenhouse, even with a fully laden wheelbarrow, and once inside a cooling breeze can be provided on a warm day thanks to the integrated roof vent. This lacks the extended warranty we usually like to see on all garden buildings, but we still feel it provides unbeatable value for money for a well built shiplap greenhouse from a leading manufacturer. Gaining the penultimate position in our run down of the UK’s 20 best wooden greenhouses that can be bought online is another lean to greenhouse. 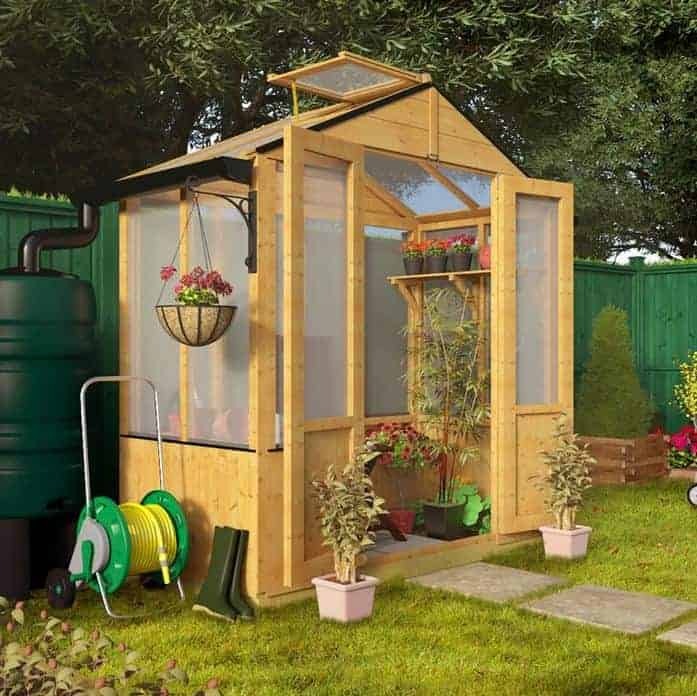 This particular model stands out from most of the other lean tos that we’ve seen and reviewed because of the excellent value for money that it provides; for a price of little more than seven hundred pounds, consumers can now enjoy not only the enhanced growing solution a greenhouse brings but also the increased strength and stability associated with a lean to. With such a low asking price for an eight foot by four foot building, we were pleased to find that tongue and groove timber had been used rather than cheaper rough sawn wood. 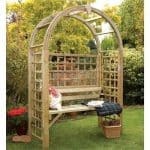 This creates a very stylish appearance that you might normally associate with much more expensive wooden greenhouses. It was also reassuring to see that a 10 year warranty against rot is provided as standard, and although this is dependent upon the customer themselves applying regular coats of wood preserver this should be a relatively easy task thanks to the ratio of wood to glazing. Once again, as we expected, styrene glazing is used, but this still represents a smart buy for lovers of good value lean to wooden greenhouses. The final position in our league table is taken by a timber greenhouse that looks like no other that we’ve reviewed, and it’s both striking to look at and even more functional because of it. The first thing we noticed was the T-shaped lay out, and that’s because it combines a greenhouse with an extended porch area. This makes it not only a great area to grow plants and seedlings, but also an elegant place to relax and look out at your garden. It’s this versatility that carries this deservedly into our list of the very best wooden greenhouses. 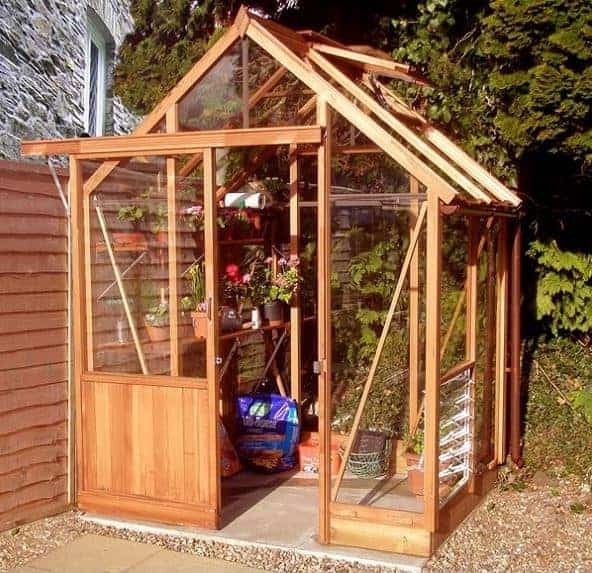 The greenhouse has a lot to recommend it in its own right, particularly as the high quality timber has been given an initial thermowood heat and steam treatment. This gives long lasting protection against rot without the use of chemicals that are used durin a tanalisation process, so this is ideal for people with green fingers who are also passionate about green matters. We also liked the full length staging down one side, so there’s lots of room to store and position plants. 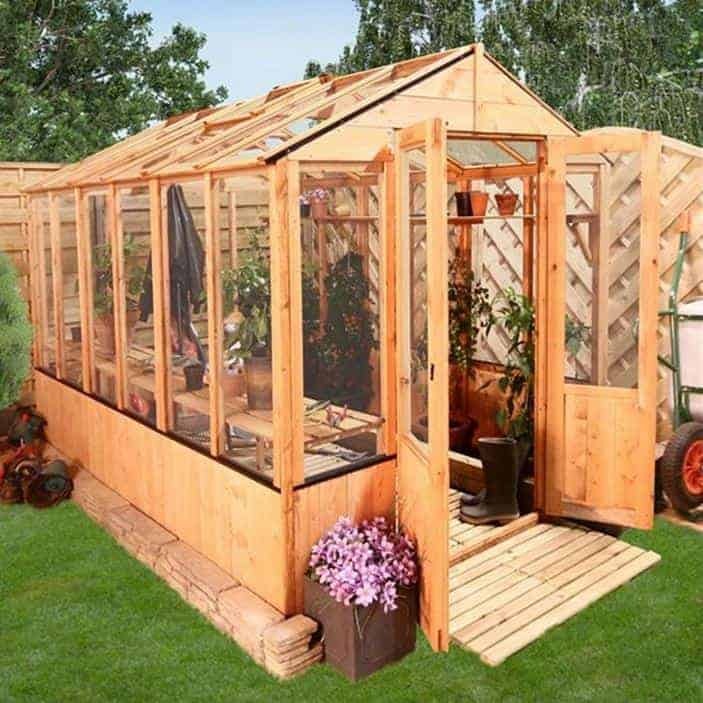 The only reason that this takes its place at the foot of our list of wooden greenhouses is that it’s by far the most expensive entry, but this still makes a great choice for those who havea budget of nearly four thousand pounds and who want a good looking, original, and durable greenhouse.